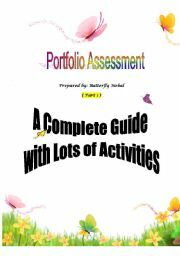 Portfolio Assessment - Part 1 ( 43 pages containing everything you´d like to know about Portfolios. All info are designed in well-devised activities , and an Answer Key is provided for you in the 2nd Part. ) A complete workshop!!! Hi everybody!!! 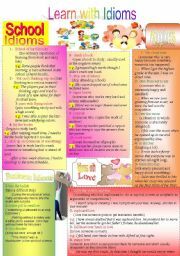 I´m back with a new Idioms Worksheet( Part 8 ).It contains another set of idioms that can be very commonly used in the English classroom(idioms+meaning+example). 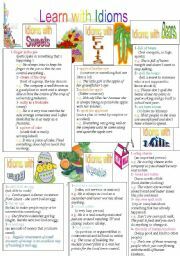 Hope u find it as useful as the previous Worksheets!! 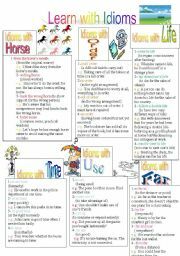 This is another worksheet that contains another set of idioms that can be very commonly used in the English classroom(idioms+meaning+example). 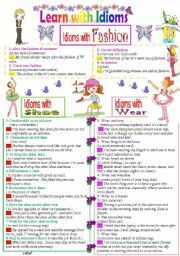 Hope u find it as useful as the previous Worksheet!! Hi everybody!! 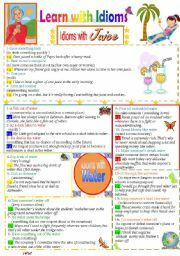 This is Worksheet Part5 ( Idioms+ meaning+examples). 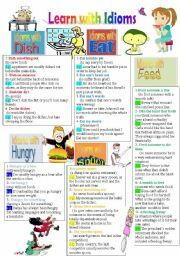 A Veryyyyyyyyyy nice & useful one. 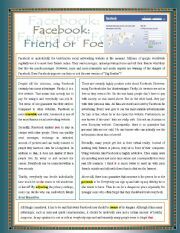 Have a look!!! 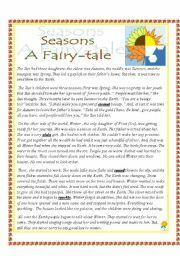 Hope u like it!!!!! !